Quality of life is impacted by a person’s ability to effectively communicate with others. Some people with disabilities are unable to communicate even their most basic needs to other people. Augmentative and alternative communication (AAC) systems can enable individuals with communication disabilities to express themselves effectively. 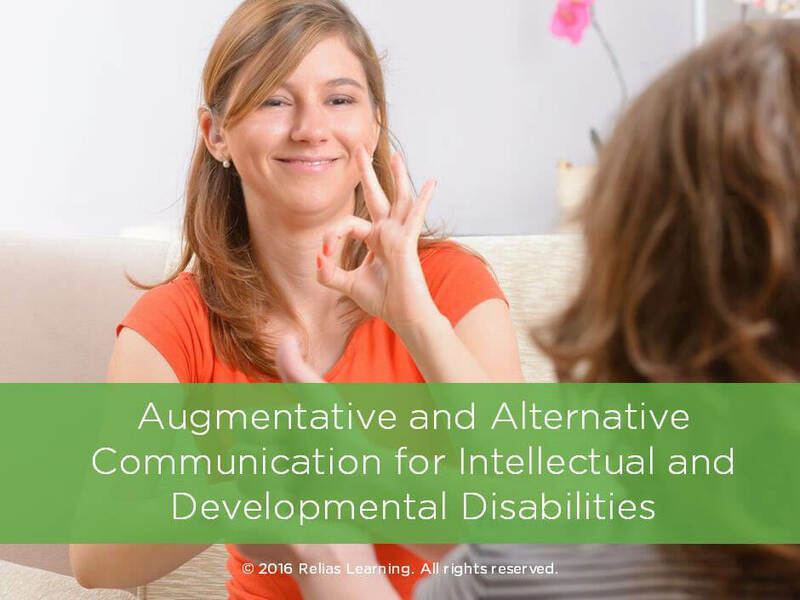 This course will introduce different types of aided and unaided AAC, as well as high- and low-technology options to assist people with communication disabilities. This course will also review challenges to adopting AAC as well as how support staff can encourage the appropriate use of AAC. Identify different types of AAC systems and how they can be utilized by people with communication disabilities. Describe different communication abilities and how AAC enables or enhances these abilities for people with disabilities. Differentiate between aided and unaided AAC systems that can be used by people with communication disabilities. List challenges to AAC adoption, and how support staff can address these challenges. F.	Why is AAC Important for People with Disabilities?